This Full Face mask incorporates a soft foam cushion that works together with the highly contoured silicone cushion to provide improved sealing technology and a more comfortable fit. 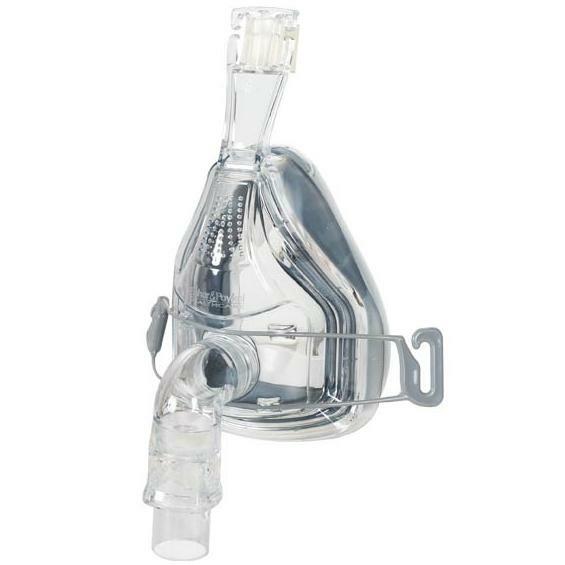 The Fisher & Paykel FlexiFit™ 432 Full Face Mask, is the second generation full face CPAP mask from Fisher and Paykel. This Full Face mask incorporates a soft foam cushion that works together with the highly contoured silicone cushion to provide improved sealing technology and a more comfortable fit. With the addition of a new foam cushion, this full face mask can help those patients who find that the silicone cushion alone does not seal correctly. The FlexiFit™ design decreases the leaks CPAP users often face. The Fisher & Paykel FlexiFit™ 432 can be used with any manufactures CPAP or BiPAP machines.